She inspired me as a boy, and as a young man, and as a grown-up writer. I learn more from her books at every stage of life than from any other writer: she bears rereading well. Her books were wise. When she wrote science fiction, she understood that the political and social sciences were part of the science in the fiction, that anthropology was the scientific place where the what ifs happened. When she wrote fantasy, she grounded it in reality, and in the deep reality of who human beings are, of what matters, of the magic of language. When she wrote allegory, she created stories that changed the people who read it for the better. I have taught The Ones Who Walk Away from Omelas to students each year for the last five years, and I discover something deeper and more disquieting every time I read it with them, watch as it works its way inside them. You have no idea how nervous I am at the idea of writing to you. You’ve been one of my heroes since I bought A Wizard of Earthsea with my pocket money at the age of 11. Your SF shaped my head as a teenager, and told me that anything was possible and that events occur in context. Your essays on writing shaped me as a writer (something that occurs to me every time the train home passes through Poughkeepsie), and your later essays made me begin to think of myself as a feminist, and to change the way that I thought about men, about women, about language, about stories, about abortion. I asked her if there was anything she wanted me to say in her introduction. Having sat through five-minute thank-you speeches that seemed to last three hours, I thought I’d enliven the gratitude with some very brief remarks about (for one thing) the big publishers’ practice of grossly overcharging public libraries for ebooks, limiting access, etc. I know you’re a true library lion. So I wanted to check if you’d welcome this, and if so we could maybe kind of strike the same note—or at least tell you, so that if I do say some things that our publishers will perceive as ungrateful, subversive, unladylike, etc., it won’t take you by surprise. Hard times are coming, when we’ll be wanting the voices of writers who can see alternatives to how we live now, can see through our fear-stricken society and its obsessive technologies to other ways of being, and even imagine real grounds for hope. We’ll need writers who can remember freedom—poets, visionaries—realists of a larger reality … Books aren’t just commodities; the profit motive is often in conflict with the aims of art. We live in capitalism, its power seems inescapable, but then so did the divine right of kings. Any human power can be resisted and changed by human beings. Resistance and change often begin in art. Very often in our art, the art of words. I’m glad I was there. 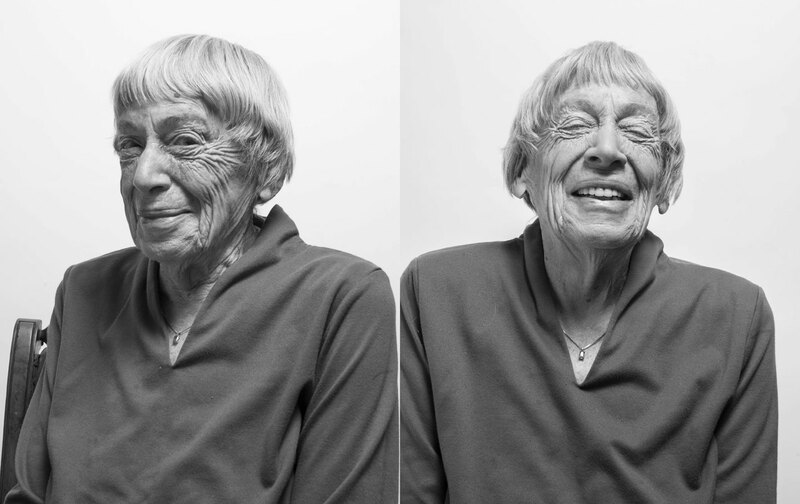 More than that, I count myself lucky to have been alive and reading when Ursula K. Le Guin was writing and talking and walking the world, and giving us her words. Neil Gaiman is an author of short fiction, children’s books, novels, graphic novels, audio theater, and films. His notable works include the comic book series The Sandman and the novels Stardust, American Gods, Coraline, and The Graveyard Book. He has won numerous awards, including the Hugo, Nebula, and Bram Stoker awards, as well as the Newbery and Carnegie medals. My mother read the Earthsea triligy, as well as the Lord of the Rings, to me and my siblings when we were in elementary school, before I could read well enough to read it myself. The imagery and complexity of the heroes and situations assisted me in developing my ability to deal with more difficult literature as well as the ambiguity of heroism and point of view. Tolkien wrote about heroism and overpowering evil, but his characters and situations had little application in developing my point of view and philosophy. All of Le Guin’s stories have a quality of anthropology to them, never providing black and white situations or uncomplicated good versus evil. She always trusted her readers to figure it out, and helped me on my way to becoming a more thoughtful inhabitant of my world. Not to say that she didn’t have an opinion, she most certainly had an intent to portray a situation to provide examples of moral conundrums, but she wasn’t going to give you the answers. I have always been drawn to writers who have some faith in their readers to figure out what the story means to them, and not tie it all up in pretty bows at the end. She wanted her readers to think, and her writing did that for her. This entry was posted in anthropology, Books, Family, Fiction, mindworks, my life, my museum of inspiration, Other peoples words, personal history, scenes on screens, Telling Stories, thinking in words and tagged Neil Gaiman, Paris Review, Philosophy, Reading, Ursula K. Le Guin, Writing. Bookmark the permalink. I love the fact Ursula panned Gaiman’s appropriation of Norse mythology. I’ve done the same. But having been so deeply influenced by Ursula’s writing I now wonder whether it was really my critique or if I was just channeling hers.